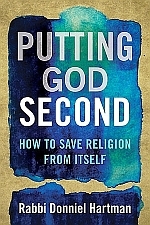 In Putting God Second, Donniel Hartman tackles one of modern life’s most urgent and vexing questions: Why are the great monotheistic faiths - Judaism, Christianity, and Islam - chronically unable to fulfill their own self-professed goal of creating individuals infused with moral sensitivity and societies governed by the highest ethical standards? To answer this question, Donniel takes a sober look at the moral peaks and valleys of his own tradition, Judaism, and diagnoses it with clarity, creativity, and erudition. He rejects both the sweeping denouncements of those who view religion as an inherent impediment to moral progress and the apologetics of fundamentalists who proclaim religion’s moral perfection against all evidence to the contrary. 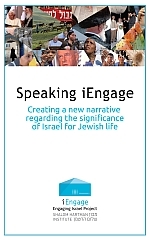 This collection of essays, authored by scholars of the Shalom Hartman Institute, addresses three critical challenges posed to Judaism by modernity - the challenge of ideas, the challenge of diversity, and the challenge of statehood - and provides insights and ideas for the future direction of Judaism.